Digitising central London’s largest pedestrianised neighbourhood. Broadgate is a vibrant and energetic 30-acre public campus in the heart of central London; a neighbourhood that connects the creative communities of Shoreditch and Spitalfieds with the City. Made up of offices, shops, gyms, restaurants and public meeting spaces, millions of visitors pass through Broadgate every year. To support a recent re-branding project, we delivered the UX and UI for the new Broadgate website. Set around four dynamic urban spaces, the new look Broadgate aims to create a sense of positive energy – a place that connects, empowers and surprises. 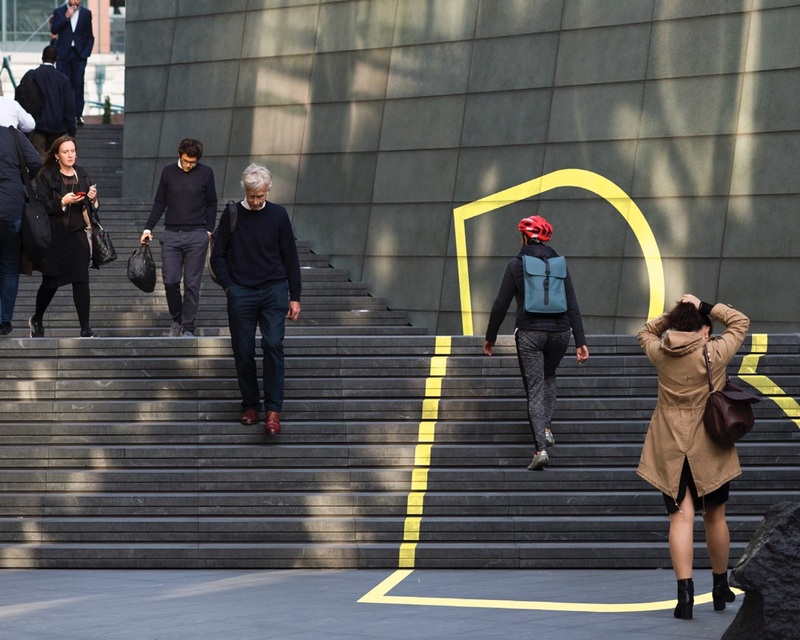 This positive energy is communicated through a Kinetic B, a flexible and dynamic brand mark representing the many public spaces within the Broadgate campus. 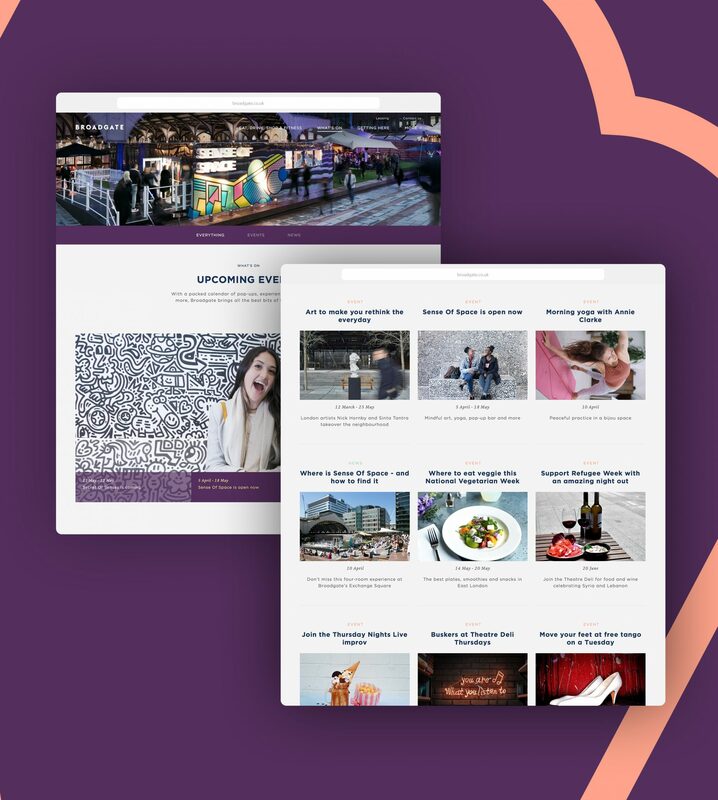 The new website’s role was two-fold; to attract new, forward-thinking office tenants, and to present Broadgate as a retail, dining and entertainment destination to members of the general public. To fully cater for and understand the website’s different audiences, we began with an exercise to define a series of personas from which we could then establish their needs and requirements. 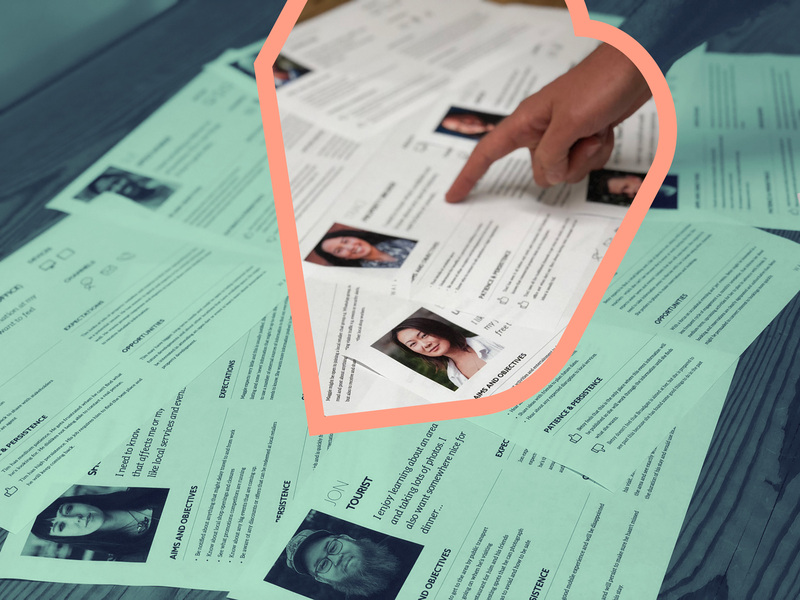 The personas allowed us to develop detailed user stories covering all key tasks that the various audiences would want to achieve whilst visiting the site. Once the requirements for the site were clear, we created a sitemap and a series of high-fidelity wireframes, defining the layout and content structure for each page of the site. Finally, the wireframes were transformed into a responsive user interface design, bringing the site to life with the new branding and interactive, kinetic UI elements. To improve usability for mobile users, we designed and developed a more user-friendly hamburger menu, accessible by thumb instead of forefinger, enabling one-handed access to the website navigation.